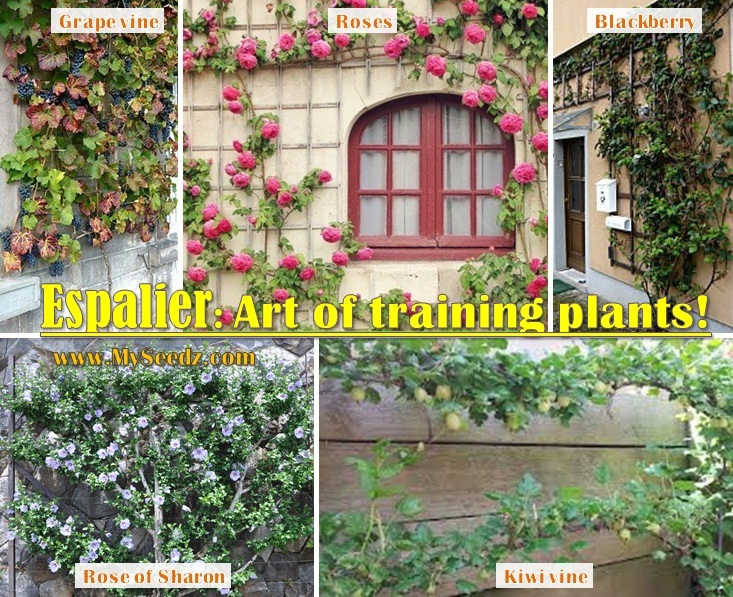 Espalier is the art of training trees, shrubs and vines to grow on a flat form against walls, fences or a trellis usually in a formal pattern. Espaliers save space and make a defining statement in the garden. Fruit trees are commonly seen espaliered such as Apples and Pears. Vines such as Roses, Grapes, Blackberries & Kiwi and shrubs such as Rose of Sharon can also be trained this way. A horizontal support frame made out of cable or wood is required to be build first in order to guide and train the tree/vine in to shape.